HomeWelcome to Rewind SEO – dedicated to providing the best penalty recovery services. 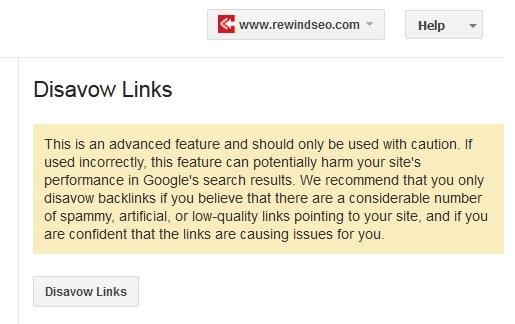 Penalty AnalysisLearn about Rewind SEO’s comprehensive penalty analysis process. 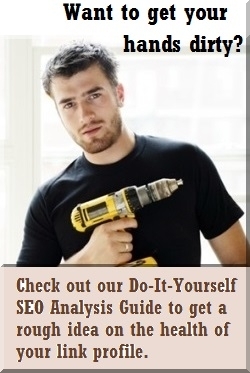 SEO BlogHow to’s, cutting edge SEO insights, observations, crazy theories, and simple facts. 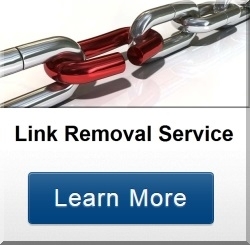 Learn about SEO and penalty recovery from us. This is a simple guide on how to submit the disavow file to Google. It is short and extremely easy, a refreshing change for Google. 2. 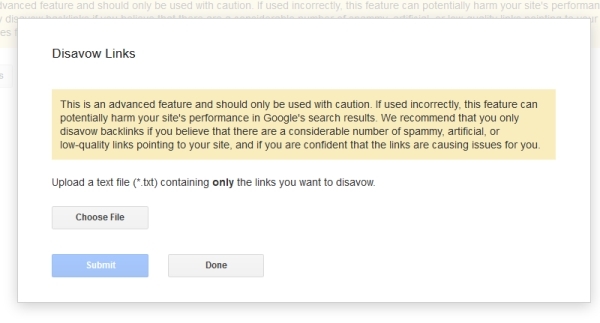 Select your site you wish to disavow links for by clicking on the URL box next to the “disavow links” button. 4. You will see the page in the image below. Click “Choose File”, upload the properly formatted disavow file (should be a .txt file under 2MB in size). You successfully uploaded a disavow links file (DISAVOW_FILE.txt) containing 213 domains and 15 URLs. If you need to edit or format your disavow file, visit this quick guide on how to format the disavow list. Daniel is the founder of Rewind SEO and has worked on hundreds of Google penalty analyses and recovery projects, recovering both manual and algorithm penalties over the past two years. He has over 4 years of experience in SEO and is familiar with just about every White Hat, Black Hat, and 'Gray Hat' method to date. […]He took the time to explain things and work with me on things I didn’t understand. Job well done and pleasure to work with. Excellent work and feedback. Highly recommended gig if Google has put the boot into your money sites. Daniel does amazing work and I’m looking forward to seeing how his work impacts this website. 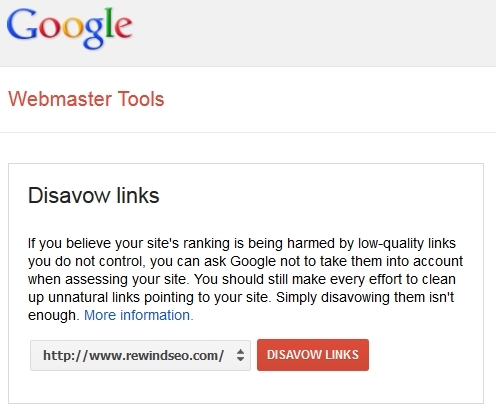 If your website has been penalized because of a lot of spammy backlinks, you simply will not find anyone who is more qualified and more professional to do the disavow work for you. He’s the best! Highly recommended. Excellent service and will use again. Thank you.